Liven up your child’s space with high quality kids playroom furniture from Simply Kids Furniture. Every piece of playroom furniture is expertly crafted and all make beautiful additions to any home. You’ll find furniture for kids such as bookcases, toy boxes, and storage chests to help maximize room space and reduce the clutter from toys, books, sports equipment and anything else your kids may leave around. 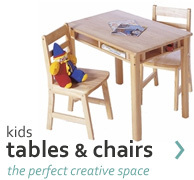 You’ll also find a variety of kids desk options which are ideal for homework, crafts, playing and drawing. You'll also be sure to find the perfect seating or kids tables and chair sets for your child with our wide variety of styles and colors. Childrens seating from Simply Kids Furniture is the perfect size for children, allowing them to sit down and get off without your assistance. 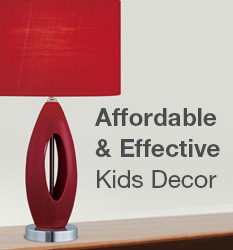 Whatever your children’s furniture need may be, Simply Kids Furniture has an aesthetic solution at a great price. 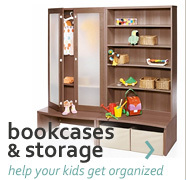 And as always, you receive Free Shipping on every kids furniture order.